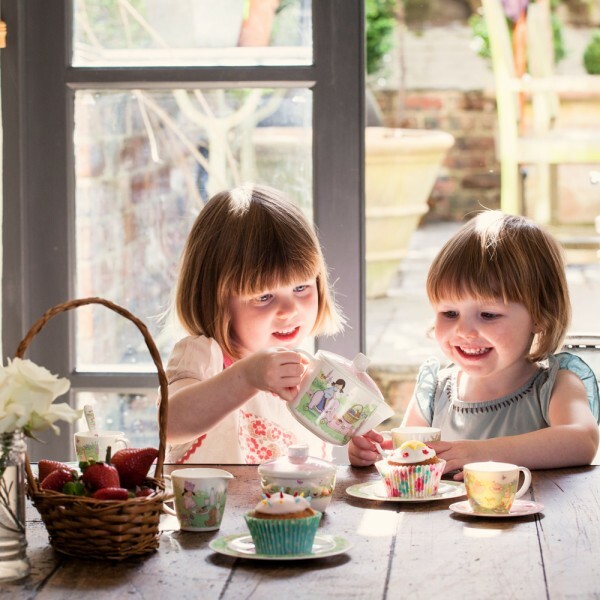 Belle & Boo are very excited! Today they are having a tea party and they would love for you to come too. Invite your dollies and teddies and immerse yourself into the magical world of Belle & Boo. 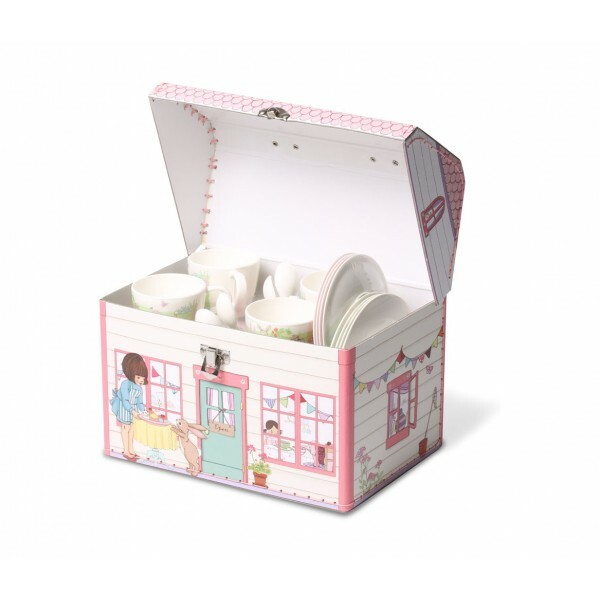 Beautifully packaged in a storage box, designed to look like Belle & Boo's Tea Shop. 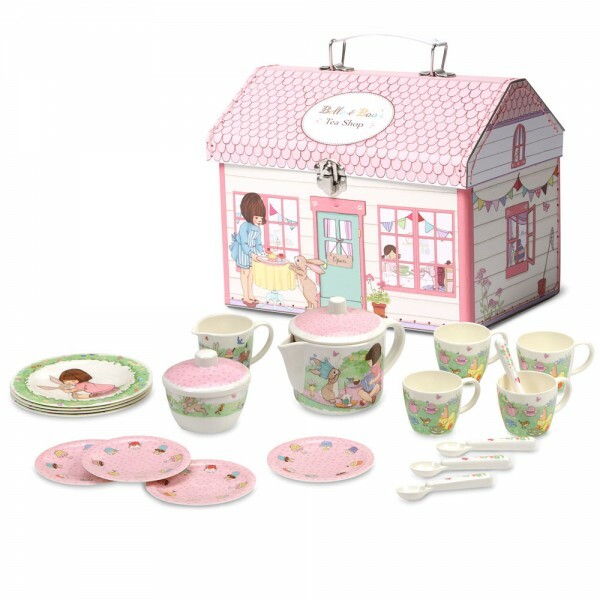 Welcome to the world of a bob haired little girl named Belle and her adorable bunny friend Boo ... a charming world of innocence and adventure. 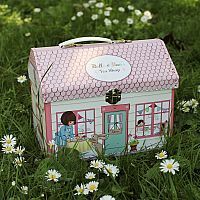 Belle and Boo is a British lifestyle brand created by illustrator Mandy Sutcliffe and known for original, nostalgic story book illustrations of children. 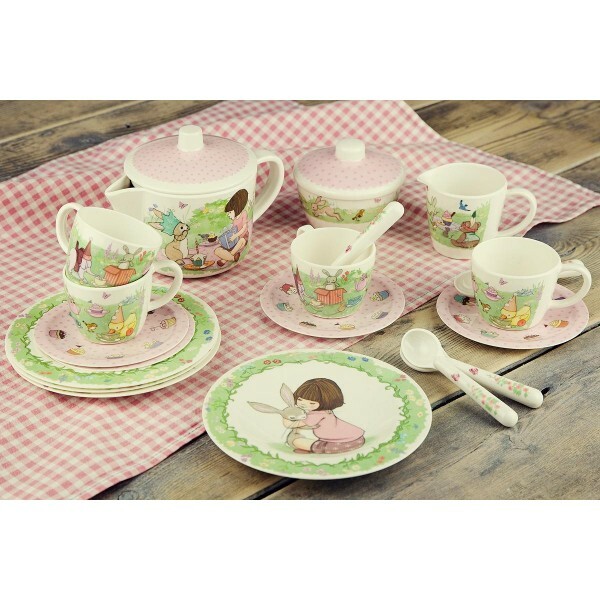 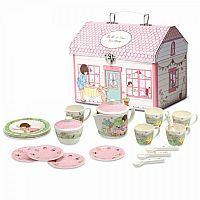 This enchanting melamine tea set features the well loved characters Belle & Boo and their friends.